The spreading of “fake news” has become a common occurrence and a real problem in today’s media. To combat this phenomenon, Polish blockchain startup Userfeeds plans to tokenize news discovery to incentivize users to rank high-quality news content in order to filter out fake news from real news. Warsaw-based Userfeeds is developing a new solution that uses “the principles and methods of Bitcoin and Ethereum to create transparent and publicly auditable content networks and ranking algorithms that use digital tokens as ranking signals,” according to a statement on the company’s blog. The Userfeeds team was co-founded by CEO Maciej Olpinski, who previously worked for Google and YouTube, and CTO Greg Kapkowski, an experienced software engineer. They believe that the current system of news discovery and content ranking which involves links, likes and upvotes is broken as it can easily be manipulated by third parties. This enables “fake news” to rank high on platforms such as Facebook and Twitter, as well as on Google’s news search. 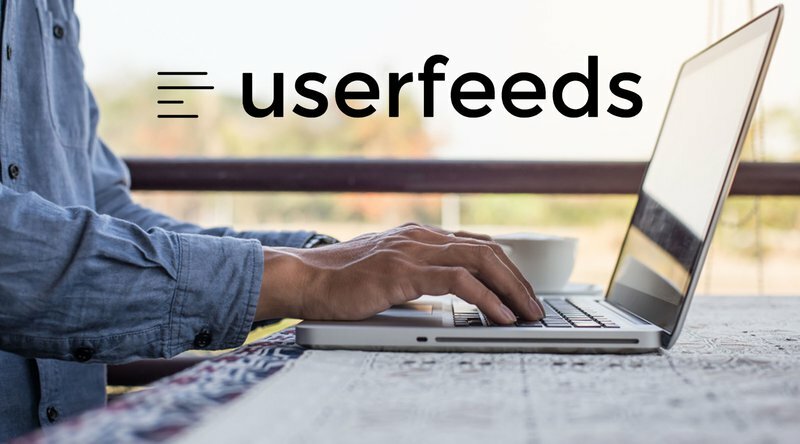 Userfeeds’ first product, Userfeeds Engine, is built on top of the Ethereum blockchain. It will enable developers, publishers and users to run custom content rankings to produce search results, recommendation systems, news feeds, listicles and sponsored links. Its goal is to create new business model opportunities for content publishers and developers beyond advertising and subscriptions. The new platform aims to build an incentive-based system that allows digital content such as news articles, blog posts and YouTube videos, for example, to be backed by tokens. These tokens can then be exchanged by users, which produces a time-stamped transaction that can be publicly viewed as a link between the content curator and the content they are backing. This process enables content curators to demonstrate confidence in the content they are posting and makes them accountable. Userfeeds expects the platform’s reputation tokens to gain value within their specific categories or applications. Furthermore, as is the case for most blockchain-based tokens, they will also be tradable for other currencies to create a mechanism by which content curators can generate revenue for sharing valuable content from trustworthy sources. To build its new solution, the startup has managed to raise $800,000 in seed funding from BlueYard Capital, Coinbase co-founder Fred Ehrsam and Data Ventures’ Piotr Smolen according to a TechCrunch report. Userfeeds provides an example of how blockchain technology can be applied to solve modern day problems. By incentivizing content curators to share only well-sourced quality content, we could soon receive more trustworthy and truthful news in social media feeds.